"The best dinner show in Branson Missouri"
Dinner includes: Tea or Coffee, Salad, Roll and Dessert. Choose from Prime Rib, Jumbo Fried Shrimp, Hawaiian Chicken or Country Fried Steak. *Beer, Wine & Cocktails available for an additional charge. 2016 "One of the Top 3 Dinner Shows"
You never know who you will see! 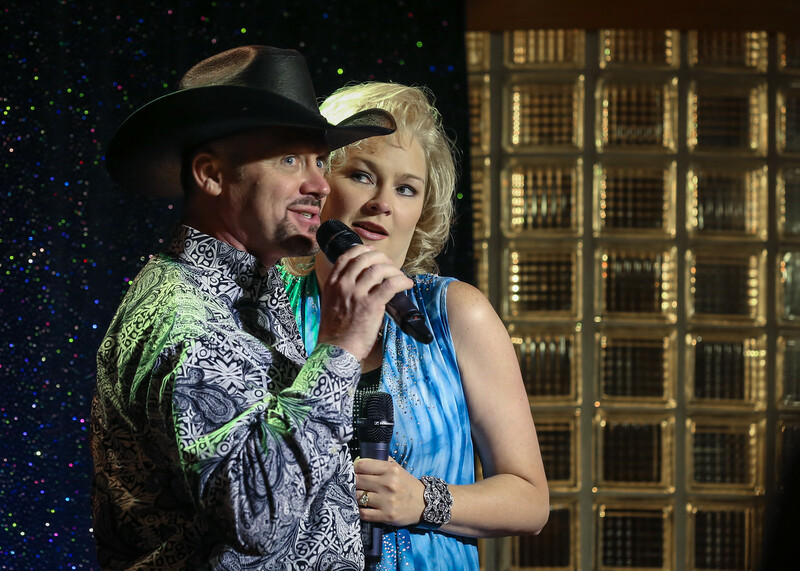 Gordy & Debbie have performed for some of Country Music's biggest names, including: Mickey Gilley, Neil McCoy, Buck Trent, Collin Raye. A Tribute to George Strait has become quite the popular show that Branson Stars will drop in. Gordy & Debbie Wensel pay tribute to Living Legend, George Strait, in his long career the King of Country Music has 60 charting number one hits. He holds the record for most #1 albums, Gold Albums and Platinum Albums in the history of country music. You'll hear some of his BIGGEST HITS!... Including The Chair, Ocean Front Property, The Fireman, All My Ex's Live in Texas and Amarillo By Morning! You'll hear some fun facts and trivia about the King of Country music that you may have never known. Gordy Wensel is Branson's #1 George Strait Tribute Artist! Debbie Kaye is a seasoned performer in Branson who brings her unique stories to the stage as she showcases the female country artists that have opened for George Strait and you'll see spectacular video presentations with some of his songs!